Now you can watch all your high definition videos in your mobiles and computers. You do not need to have your camcorders and cameras everywhere to play and see your recordings. Every recording of yours can be played and enjoyed, because now you have iOrgSoft AVCHD converter for Mac and Windows. iOrgSoft converter is an AVCHD converter, which lets you convert all your high definition videos and camera recordings to the video formats that are supported by your gadgets and computer. It gives you the liberty to play and enjoy these recordings and videos as and when you want. The converter accepts files in mts, mt2s, tp, ts, mxf, mod, tod, trp, m2t, and tak and converts them in other video formats, such as converting mts to mov, mts to mp4, or mts to mpeg. Converts AVCHD videos to popular video formats: iOrgSoft converter allows you to convert all your AVCHD videos to some of the most commonly-used video formats, for example converting mts to mov, avi, wmv, mp4, mpeg, mpg, flv, swf, 3gp, m4v, dv, 3g2, or divx. Supports different gadgets formats: This hd converter enables you to convert your hd recordings in the video formats that are supported by many of your commonly-used gadgets. These gadgets include iPhone 5/5s, iPhone 4s, iPad mini, Samsung Galaxy S4, and many others. Generates top quality output: The converter allows you to obtain great quality videos at a very fast pace. The great pace of conversion does not compromise on the video quality at all. Even the videos with 1080 pi and 4K quality are obtained with perfection. 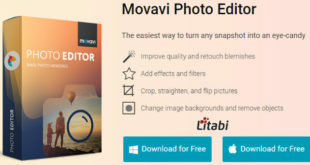 Provides built-in video editing tool: iOrgSoft AVCHD converter provides you a built-in video editing tool that allows you to crop, trim, merge and split your videos. You can also apply effects such as brightness, contrast, saturation, hue, and 3D effects to your videos. Allows you to share videos online: With the help of this converter, you can convert your AVCHD files to the formats, which are supported by several social networking websites, such as Facebook, YouTube, and Hulu. The formats, which are supported by these sites include ogg, flv, mp4, and ogv. Converts AVCHD files to audio formats: The converter permits you to extract music from your videos and then you can save them in mp3 or other relevant audio formats. Supports automatic updates: The converter automatically checks for latest updates and enables you to download and install those updates easily. Permits multiple conversions at one time: By using the batch conversion feature, you can convert a number of your AVCHD files simultaneously, which saves you great efforts and time. iOrgSoft converter offers you comfort plus quality when you are working with your AVCHD video files. You can seamlessly convert all your videos and enjoy them in any format as per your requirements.